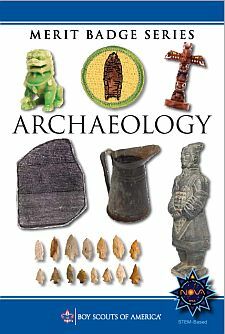 Tell what archaeology is and explain how it differs from anthropology, geology, paleontology, treasure hunting, and history. Describe each of the following steps of the archaeological process: site location, development of a research design, historical research, site excavation, artifact identification and examination, interpretation, preservation, and information sharing. Describe at least two ways in which archaeologists determine the age of sites, structures, or artifacts. Explain what relative dating is. Learn about three archaeological sites located outside the United States. Learn about three archaeological sites located within the United States. Visit an archaeological site and learn about it. For EACH site you research for options a, b, or c, point it out on a map and explain how it was discovered. Describe some of the information about the past that has been found at each site. Explain how the information gained from the study of these sites answers questions that archaeologists are asking and how the information may be important to modern people. Compare the relative ages of the sites you research. Choose ONE of the sites you completed for Requirement 4 and give a short presentation about your findings to a Cub Scout pack, your Scout troop, your school class, or another group. Explain why it is important to protect archaeological sites. Explain what people should do if they think they have found an artifact. Describe the ways in which you can be a protector of the past. Make a list of items you would include in a time capsule. Discuss with your merit badge counselor what archaeologists a thousand years from now might learn from the contents of your capsule about you and the culture in which you live based on the contents of your capsule. Make a list of the trash your family throws out during one week. Discuss with your counselor what archaeologists finding that trash a thousand years from now might learn from it about you and your family if they found your trash a thousand years from now. Under the supervision of a qualified archaeologist, spend at least eight hours helping to excavate an archaeological site. Under the supervision of a qualified archaeologist, spend at least eight hours in an archaeological laboratory helping to prepare artifacts for analysis, storage, or display. If you are unable to work in the field or in a laboratory under the supervision of a qualified archaeologist, you may substitute a mock dig. To find out how to make a mock dig, talk with a professional archaeologist, trained avocational archaeologist, museum school instructor, junior high or high school science teacher, adviser from a local archaeology society, or other qualified instructor. Plan what you will bury in your artificial site to show use of your "site" during two time periods. Help prepare an archaeological exhibit for display in a museum, visitor center, school, or other public area. Use the methods of experimental archaeology to re-create an item or to practice a skill from the past. Write a brief report explaining the experiment and its results. Research American Indians who live or once lived in your area. Find out about traditional lifeways, dwellings, clothing styles, arts and crafts, and methods of food gathering, preparation, and storage. Describe what you would expect to find at an archaeological site for these people. Research settlers or soldiers who were in your area at least one hundred years ago. Find out about the houses or forts, ways of life, clothing styles, arts and crafts, and dietary habits of the early settlers, farmers, ranchers, soldiers, or townspeople who once lived in the area where your community now stands. Describe what you would expect to find at an archaeological site for these people.